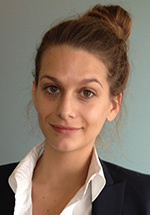 Attorney Laura Mazor, an associate who specializes in white collar criminal defense has joined Butzel Long in the firm’s Detroit office. Prior to joining Butzel Long, Mazor spent three years as a law clerk to the Hon. Patrick J. Duggan of the U.S. District Court for the Eastern District of Michigan. She is admitted to practice in the courts of the State of Michigan. Mazor, of Detroit, earned her bachelor’s degee from the University of Michigan and her juris doctor from George Washington University Law School, where she was awarded order of the coif upon graduation.